Key West boasts more than 3,370 hours of sunshine each year. Periods of precipitation can interrupt this marvelous weather and prevent you from enjoying planned outdoor activities. When this happens, consider the following list of indoor activities for a rainy day in Key West. 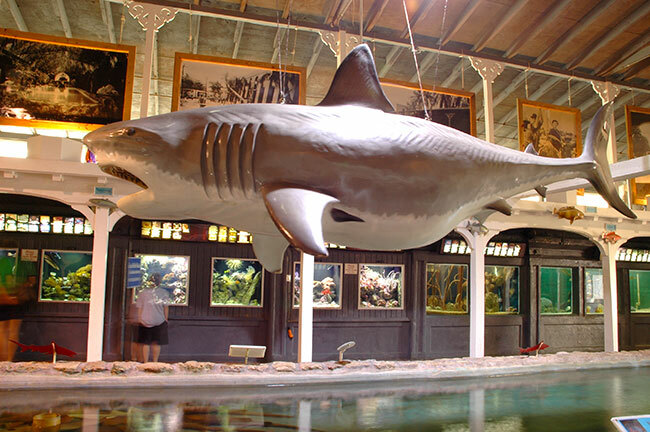 Key West Shipwreck Treasure Museum is housed in a replica 19th-century wrecker’s warehouse. The museum exhibits, short films and videos explore the history of the local marine salvage industry. A live performance with actors in period costumes recounts the tale of the Isaac Allerton, which sank in 1856. Artifacts from the Isaac Allerton shipwreck, Key West’s richest salvage operation, are on display. If the weather clears, climb to the top of the 65-foot observation tower where you can survey the horizon like the early wreckers who once kept watch over the surrounding land and seascape. Truman Little White House was originally constructed to serve as a residence for officers assigned to the Key West naval station in 1890. The president first used the home as a vacation retreat in 1946. Presidents Eisenhower and Kennedy also used the quarters. The restored museum features décor and furnishings from the Truman era, including the chief executive’s piano and work desk. Key West Butterfly & Nature Conservatory is a magical environment dedicated to these fascinating winged insects. The free-flight conservancy features hundreds of butterfly specimens from around the world as well as several tropical bird species, a collection of flowering plants and cascading waterfalls. Learn about the anatomy, life cycle and migration of the monarch butterfly, which can travel hundreds to thousands of miles. 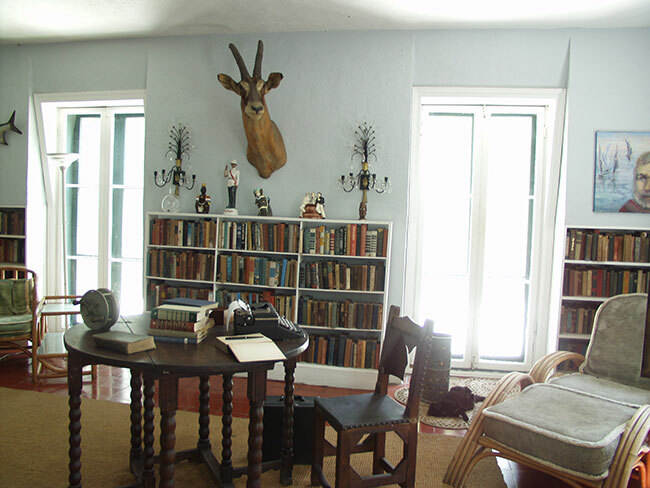 Originally built in 1851, the Ernest Hemingway Home and Museum preserves the legacy of this American literary icon. Hemingway bought the Spanish Colonial-style home in 1931. During the nine years that he lived in the house, Papa wrote several of his well-known works, including “A Farewell to Arms” and “For Whom the Bell Tolls.” Descendants of Hemingway’s six-toed cat still roam the lush tropical garden-covered property. South Florida’s Oldest House was built in 1829. Originally constructed in a different location, the residence was later moved to Duval Street. The house museum features original furnishings and family heirlooms as well as displays with a focus on the history of Key West. The cookhouse to the rear of the property is typical of the period. Surviving pirates, hurricanes and other hardships, the home pays tribute to the uniqueness of America’s most unusual city as well as sea captain Francis Watlington. The Mel Fisher Maritime Museum chronicles the story behind the discovery of the Senora Nuestra de Atocha, a Spanish Galleon that sank 40 miles off the coast of Key West in 1622. In addition to hands-on demonstrations and exhibits on underwater archaeology, the museum displays numerous artifacts recovered from the wreck by Mr. Fisher. These include gold and silver religious items as well as a 77.76-carat emerald. Key West Aquarium houses a number of tanks that exhibit local marine life. The Atlantic Shores Exhibit is a 50,000-gallon tank that contains a living red mangrove ecosystem, which is home to numerous species of tropical fish as well as sharks and sea turtles. Other exhibits feature alligators, jellyfish and stingrays. The touch tank enables guests to interact with a variety of smaller aquatic species, including starfish, conch and other invertebrates. You can watch sharks being fed by divers and touch a young nurse shark. The Audubon House and Gallery features many original works by John James Audubon. The renowned naturalist visited Key West in 1832. Constructed in the 1840s by Captain John Geiger, the home was restored 120 years later. While a rainy day in Key West may limit access to the property’s tropical garden, a tour of the home reveals furnishings from the 18th and 19th centuries. The Martello Towers are brick fortifications that were constructed in 1858 to strengthen Fort Zachary Taylor. The bastion, with 8-foot thick granite walls, was never completed. The Martello Gallery-Key West Art and Historical Museum features exhibits related to local art and history, including displays related to Key West’s early settlement, its Cuban influences, the sponge and fishing industries and numerous works by folk artist Mario Sanchez. The most well-known item in the Fort East Martello Museum and Gardens’ collection is Robert the Doll, an alleged haunted toy that once belonged to the late artist Robert Eugene Otto. Ripley’s Believe It or Not enables guests to experience unusual, odd and bizarre items from around the world. The museum features 13 air-conditioned galleries in the more than 10,000 square feet of exhibit space. You can view video clips from the TBS show hosted by Dean Cain and try to remain upright as you walk through the Vortex Tunnel. See more than 500 displays in rare objects from nature and bizarre handcrafted items during the self-guided tour.